Along with the new generation of Redmi Note devices, Xiaomi also steps in the smart TV market in India by launching its 55-inch 4K UHD Mi TV 4, thus blowing away the competition with an absolutely killer price the nation has ever seen for such a beautiful piece of Television. The Mi TV 4 comes at a super appealing price of just ₹39,999/- INR, which is absolutely a steal for that price and given that the features it offers. Not only it is the most affordable LED TV in this segment, but also it’s the world’s thinnest LED TV (4.9mm). It doesn’t stop there, the Mi TV 4 comes with a 55-inch 4K UHD resolution led panel, and the side-frame of the LED TV is quite minimal almost bezel-less, giving it a modern look. Speaking about the modern look, the stand on either side also looks stylish and is made out of lightweight aluminum. Moving ahead, the Mi TV 4 also supports HDR which gives it a major advantage over its rivals from Samsung, Vu, and LG. Moreover, the panel supports 60Hz refresh rate and a response time of 8ms which is quite decent if you’re not planning to game on it. On the audio, side it features Dolby Atmos and also DTS sound coming from the 8W duct inverted speakers for an optimal cinematic surround sound experience. Talking about the smart features such as Xiaomi’s AI-powered PatchWall UI which is highly tuned keeping the Indian consumers in mind. The AI system offers trending content and recommendations as per your universal searches. The remote control bundled together with the LED UHD TV sports voice features similar to Amazon Fire TV and a total of 11 function buttons. 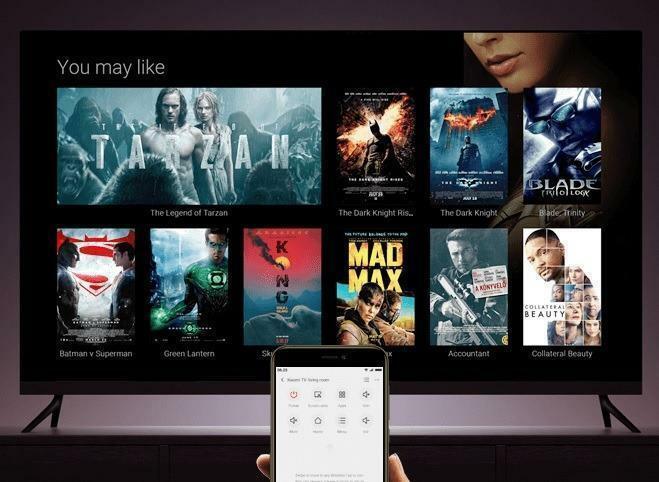 Along with this the device also comes with Xiaomi’s version of the smart TV, allowing you to stream HD content over the internet. It also comes with Mi IR Cable is priced at just Rs.299/- which will offer 500k hours of HD content, out of that 80% of the content will be entirely Free.